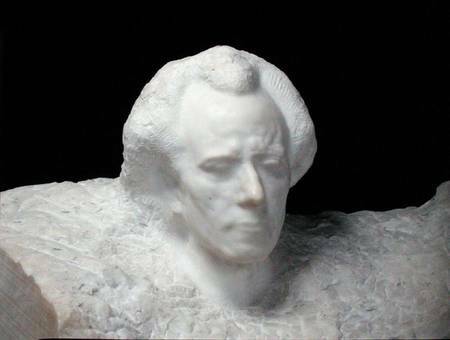 Ravinia and the Grant Park Music Festival are both presenting the ninth symphonies of Beethoven and Mahler this summer, and next weekend Chicago’s lakefront festival will wrap its 75th season with Beethoven’s bear-hug embrace of humanity. On Friday night, however, Carlos Kalmar and the Grant Park Orchestra took their turn at Mahler’s death-haunted Ninth at the Harris Theater. Carlos Kalmar and the Grant Park Orchestra will perform Mahler’s Symphony No. 9 at 7:30 p.m. Saturday at the Harris Theater. Admission is free. www.grantparkmusicfestival.com; 312-742-7638. As a member of the Grant Park Orchestra, I would like to commend this website for providing a much needed forum for the classical music world in the Chicago area. Although this review is very thoughtful, I would like to point out a few things that might provide additional useful information for the reader. First of all, the Grant Park string section is smaller in size compared to the CSO. We simply do not have the same amount of players that might provide the “rich sonority and burnished ballast” that the Chicago Symphony employs. The assertion that the playing was “immaculate and too well groomed” is actually a testimonial to the virtuosity of the ensemble as we only had three rehearsals for this massive undertaking. The Grant Park Orchestra has never performed this piece in its 75 year history. Perhaps the “unblinking stare into the darkest shadows of the abyss” will become apparent in future performances when the orchestra is more familiar with this epic symphony. In addition, our premiere performance of the piece was broadcast live on WFMT, which perhaps might explain the careful and thoughtful interpretation of the first movement. The orchestra was under an incredible amount of pressure, and one can understand a more cautious approach considering the circumstances. While I understand the need to compare and contrast, the reader must consider that the CSO is a 52-week ensemble that performs together regularly, and the Grant Park Orchestra is a 10-week festival that draws from the best talent from many different ensembles. Personally, I am proud to be a part of a group that consistently performs at such a high level. Thank you for attending our concerts, and please keep writing about all of the fine ensembles in the Chicago area.